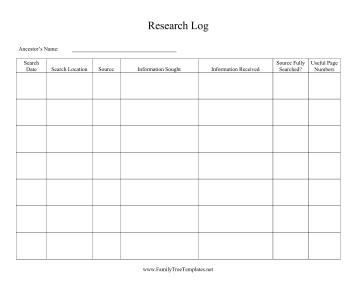 This free, printable family tree research log is great for people who are searching books and documents for ancestry and descendant information. The table has sections for the search date and location, the source, the information gathered and the useful page numbers. It is great for keeping track of each ancestor.